"Quiet consideration and conversation between Ann and me." Allin writes of his decision, October 5, 1973. 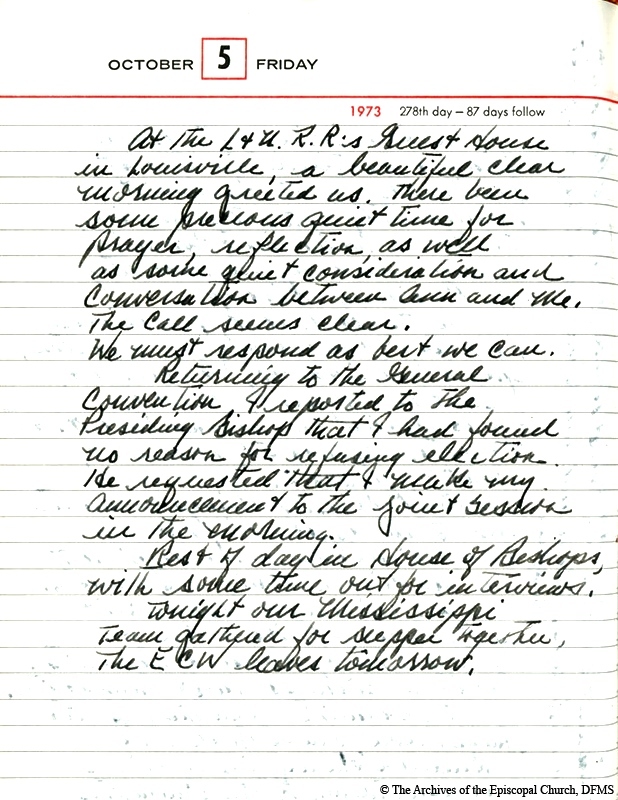 Allin, John Maury, “Allin GC 1973 Journal Entry 3,” Venture In Ministry: John Maury Allin, accessed April 19, 2019, https://www.episcopalarchives.org/jma-presiding-bishop/items/show/154.